When I walked in the door the other night, I had a package from my insurance company. (Secretly, I wanted them to have read my mind and have it be a Dexcom.) But I digress. This is my new diabetes toolkit. I have kept it in the bag I bring to work to read during naptime (even though that’s usually when I catch up on blogs, write my own blog, be a twitter addict all while cleaning up after the kids and potentially cooking their dinner). I didn’t look at it until yesterday. The only thing I noticed before that was that there was a pedometer. I thought this was kind of cool. I walk a lot at work, so I was thinking of getting one, but there are more important things in life for me to spend my money on. (I digress, again.) Today as I was waiting to pick up Girl Genius, I started reading the letter that was included in the folder. I read this sentence and I started laughing. I grabbed my phone and tweeted it (clearly) and then I tried to read the rest of the paper. Now I know that I’m still a “new” insurance person; both understanding and a member, but this still makes me laugh. I got some pretty great responses and they all made me laugh. But beyond that first sentence, everything I’ve seen is pretty sweet. I took about 6,000 steps yesterday (which included walking the wrong way to the Frog Pond with Girl Genius). I got a new log book (with not nearly enough space for me to record all my BGs for every day), but it has different tid-bits of information for every week. There is information on keeping my feet healthy, which includes a magnet so you can put it in a place where it won’t get lost. 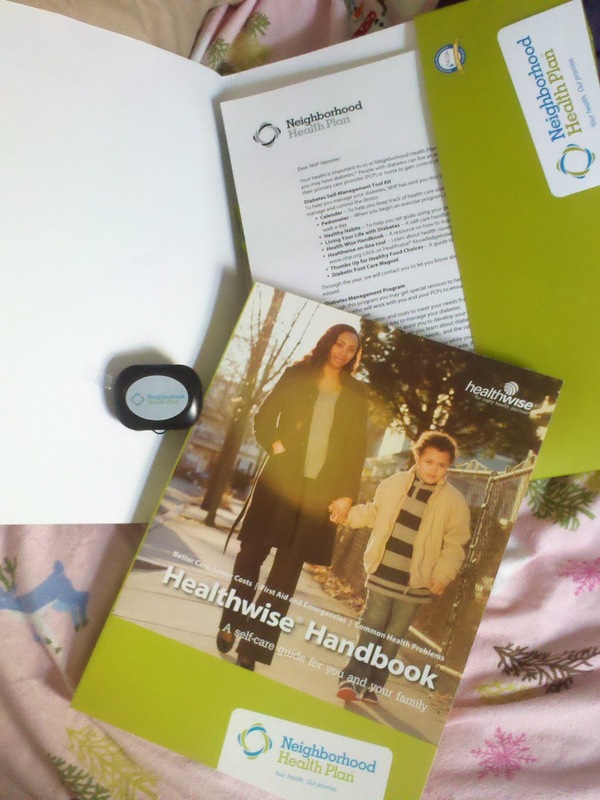 And last, but not least the Healthwise Handbook. 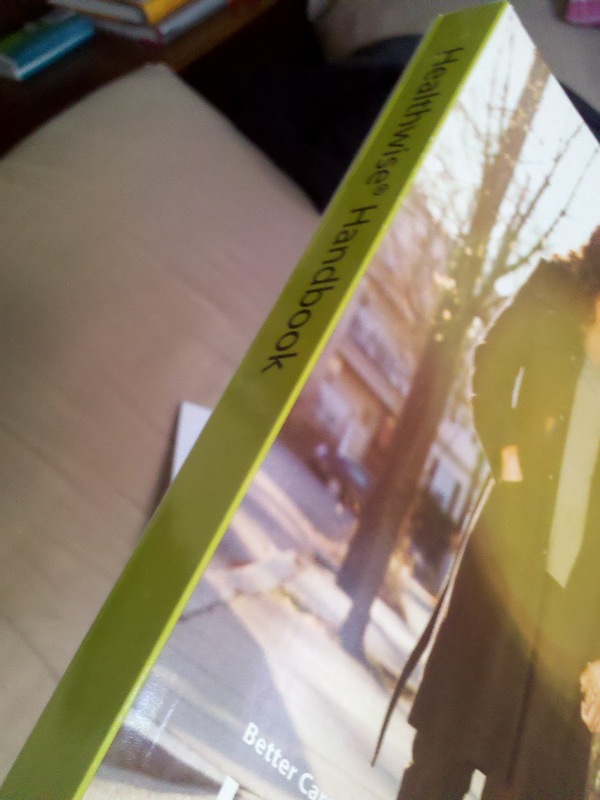 How long do you think it’s going to take me to read this? If they had to send such an obvious letter, I'm glad they at least included something cool in the package. Enjoy the log book and pedometer!